If you’re interested in show horses, check out the Arabian horses for sale and attend the Harlan County Horse Show. 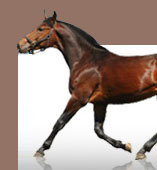 Not only are the Arabian horse breed wonderful to ride, they are amazing show horses! If you’re looking for a nice show horse, especially with this time of year everyone is busy with horse shows and rodeos, Animaroo Horses is the place to be. Speaking of horse shows, continuing the tradition of 48 year, the Harlan County Shrine Club will host their annual horse show and fair at Shriners’ Fairgrounds. Registration was on Thursday, August 2nd but it’s not too late to make it to the horse show because that starts tonight, August 3rd and continues until Saturday, August 4th. The public will be allowed to visit and browse through exhibits from 11 a.m. to 9 p.m. on Friday and Saturday! The horse show is on both evenings starting at 7:30 p.m. Prior to the show, one of the most popular things at this event is the “stick horse” event! Children ages 2-12 are welcome to ride their stick horses in the arena before the show starts. If you are a horse lover, I do recommend you make it out to the Harlan County horse show and fair at 7:30 p.m. to watch an amazing horse show with many different breeds you may be interested in! Including the wonderful Arabians.